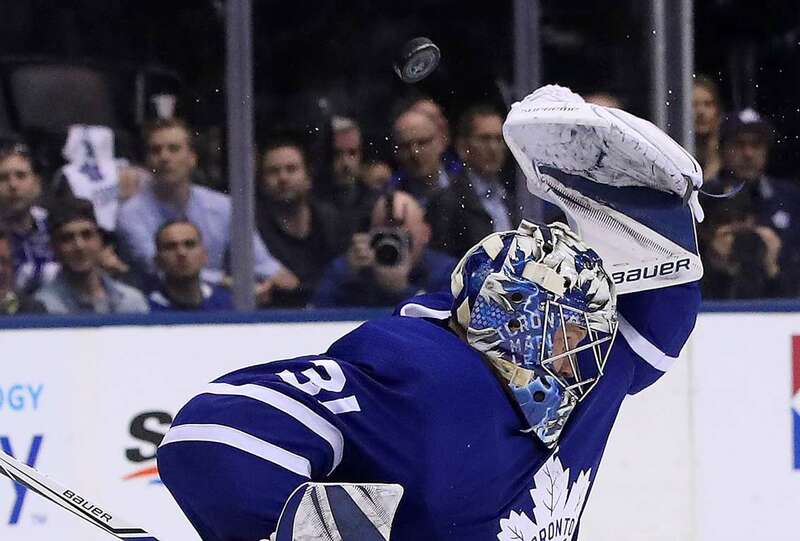 Maple Leafs goaltender Frederik Andersen knocks the puck away against the Bruins in Toronto on Monday. The Maple Leafs won 3-1. Photos - U.S. Daily News: Puck away!